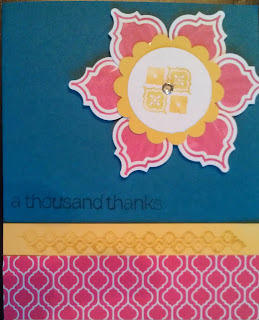 I'm madly in love with the "Mosaic Madness" suite of products from Stampin' Up! I got this clever idea to use the punch to make a flower from Julie Davison, another demo. CUTE!!! 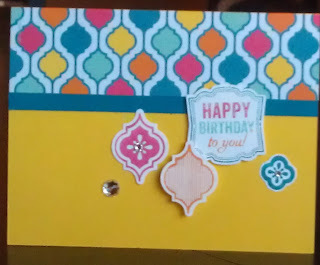 I just love these bright and vibrant colors, they really "pop"! 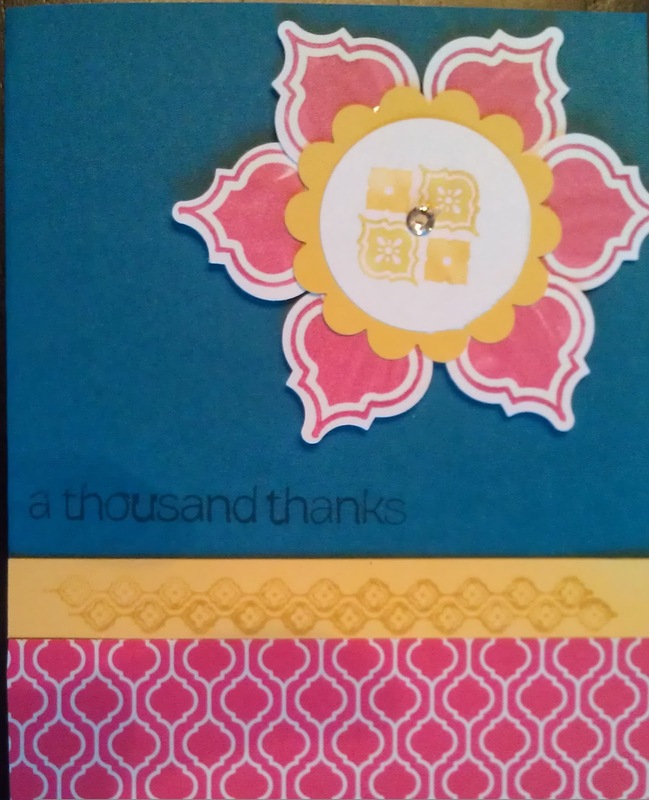 We will make these cards at our November papermadeprettier card class. Can't share in the fun this month? 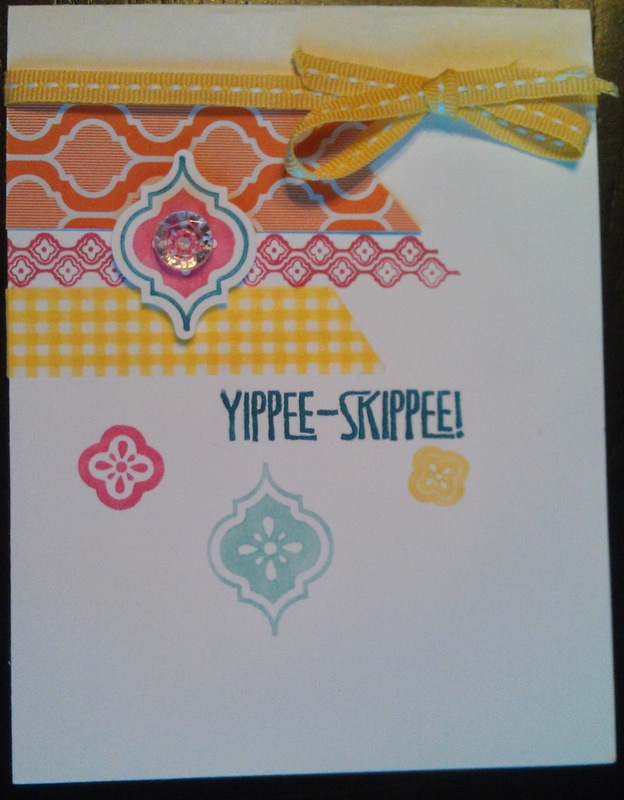 Join my October online stamp of the month club! 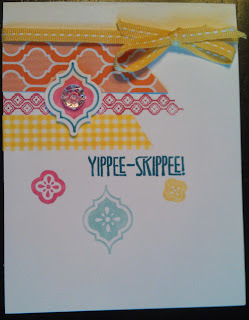 To see other online stamp of the month club samples visit my online stamp of the month page!